Why Aren't Students Using E-Books? Though we keep hearing about a huge increase in sales of e-books, a recent survey shows that, for students, that needle has not really moved much. The library e-book provider eBrary released some of the preliminary results from its 2011 Global Student E-Book Survey last week. Among its findings: that students' e-book usage has not increased significantly in the past 3 years. That's contrary to other reports about consumers using e-books. Back in May, Amazon said that it was selling more e-books than print, ad the Association of American Publishers says that for the first half of the year, e-book sales are up 160% while hardcover and paperback sales were both down nearly 20%. So why are students' buying habits different? Why aren't they buying more e-books? "The vast majority of students would choose electronic over print if it were available and if better tools along with fewer restrictions were offered." Part of the answer lies in the fact that the books they need -- textbooks at least -- are not always available in digital format. Even if some titles are available, many students opt to buy all their books at the same time from the same location (whether that retailer is online or a traditional brick-and-mortar bookstore or a textbook rental company). As different e-readers and e-reader apps have access to different catalogs, there isn't really a seamless shopping experience for digital textbooks. It's not as though students aren't interested in e-books. According to the eBrary survey, "the vast majority of students would choose electronic over print if it were available and if better tools along with fewer restrictions were offered." Those latter points are key: better tools and fewer restrictions. Despite some of the improvements to note-taking in textbook apps like Inkling and Kno, it's still not quite as easy to mark up a digital text as it is a printed one. And oftentimes the content in these books is "locked down," so students can't share their notes or share their books with another. That sharing aspect is important. Students want to be able to utilize social media as they do their reading and research, and according to those surveyed by eBrary, they want their textbooks integrated with social tools. Again, many apps are recognizing the importance of social reading, whether it's shared highlighting via the Kindle or a dedicated e-reader or via a Web-based tool like Highlighter. But students also share their textbooks because they are so incredibly expensive. And as the digital rights management (DRM) restrictions on e-books makes lending someone your copy difficult if not impossible, students are likely steering away from e-books because they simply don't work for them -- practically or economically. After all, there is little savings to be found in many digital textbooks. They cost roughly the same as print, but come without the ability to sell back a used copy at the end of the semester. 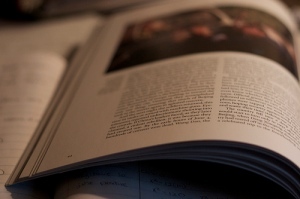 The slow adoption of digital textbooks by students doesn't necessarily mean that textbooks will be the last bastion of print. But it does highlight the ways in which students' needs aren't being met yet by digital content providers. That means there's still a huge opportunity here to reshape what the textbooks of the future look like. Openly licensed content, for example, could address students' concerns about sharing. Better social tools could help meet their needs for social reading and learning. Open educational resources could provide free content, while an iTunes model of sorts -- one that sold the "song" (or rather the chapter) rather than the "album" (the whole book) could save students money. Students' reluctance to move to digital textbooks should also be an indication that we have to make sure we're building learning tools that meet the needs of learners. Despite all the promises about lighter backpacks, students' purchasing habits here indicate that they're making decisions about what works best for how they study.